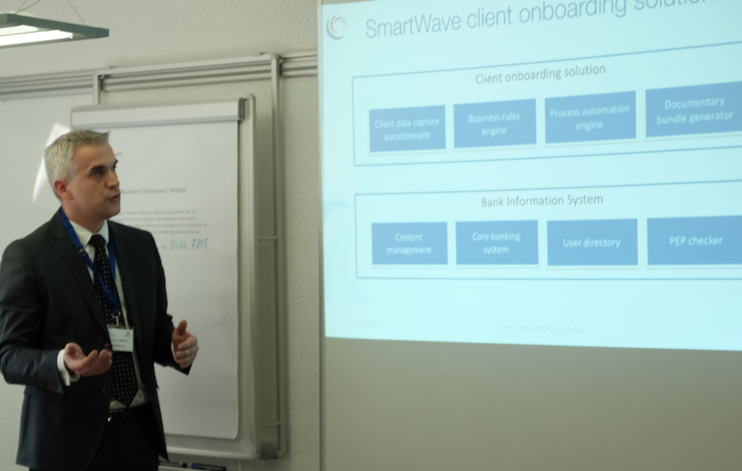 On March 17th SmartWave and Bonitasoft presented in Lausanne their solutions and best practices to transform client onboarding process in a key differentiator for any organisation in the financial industry and beyond. SmartWave and Bonitasoft were pleased to receive several key actors in its audience and to have shared with them, during an entire day, the fundamentals of their respective market and product knowledge. The first session, conducted by Yannick Marrec (SmartWave) & Frédéric Lejal (BPMS) introduced the business analysis approach and digital client onboarding solution to manage challenges linked with processes. Participants discovered how this solution reduces risk in dealing with new clients, improves team work productivity and accelerates the overall process by lowering complexity resulting in improving bank image on the market. 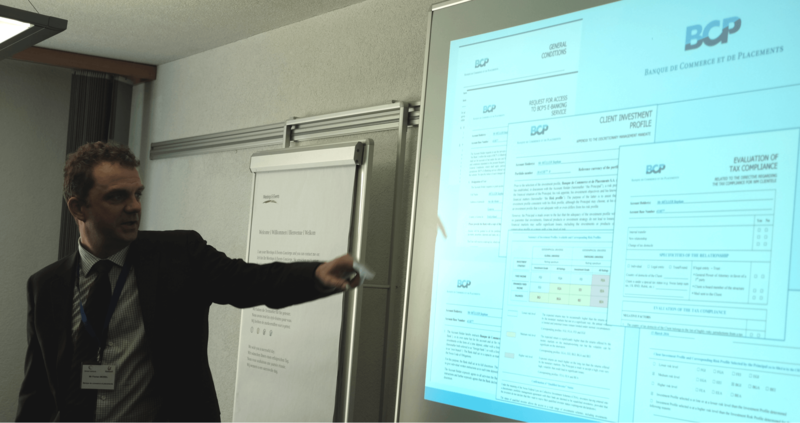 In a following session, Olivia Halimi (Bonitasoft) introduced the BPM Suite Bonita BPM. Sharing examples of implementations in the financial sector, the audience understood the variety of challenges a BPM-based application platform permits, notably: reach operational efficiency while respecting budgets and technical constraints, empower external and internal end-users, enhanced customers satisfaction and orchestrate data to properly drive business decisions. To close the morning session, we were pleased to hear the testimonial of Florian Morelfrom Banque de Commerce et de Placements. He explained why and how his bank chose a BPM solution to deliver an application that manages criticality, complexity and diverse requirement scenarios in client onboarding process. 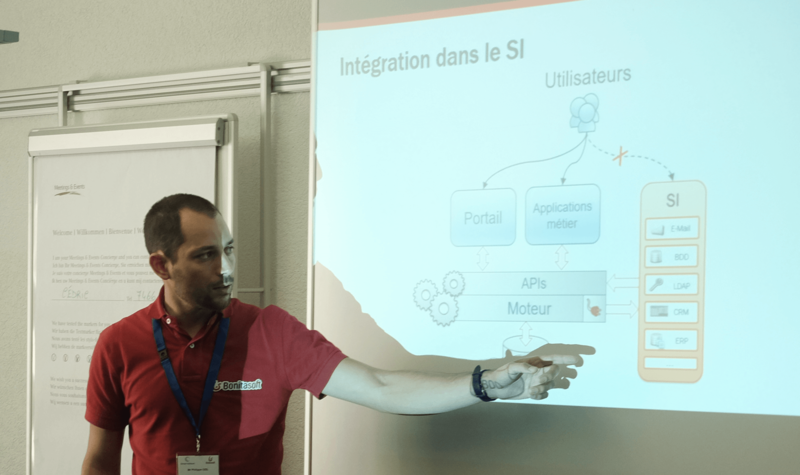 The afternoon was dedicated to a technical workshop, lead by Philippe Ozil (Bonitasoft) explaining: the Bonita BPM Suite architecture, the UI designer enabling to create great user interfaces, and finally how to properly handle the organisation directory. SmartWave and Bonitasoft would like to thank all participants whom attended our event with a special mention to Banque de Commerce et de Placements for their participation!